Monday - Friday: Lunch 11:30am to 3:45pm, Dinner 5pm-10pm and Bar service 11:30am until closing. Open weekends for special events. Valet Parking at lunch $7 with validation and street parking in the evening after 5:30pm. Soft Shell Crab Festival...coming soon later in April. Local Soft Shell Crabs prepared three ways. with rocket salad, as a sandwich with chipotle mayo or pan roasted with pinot grigio & citrus butter sauce-toasted sliced almonds. 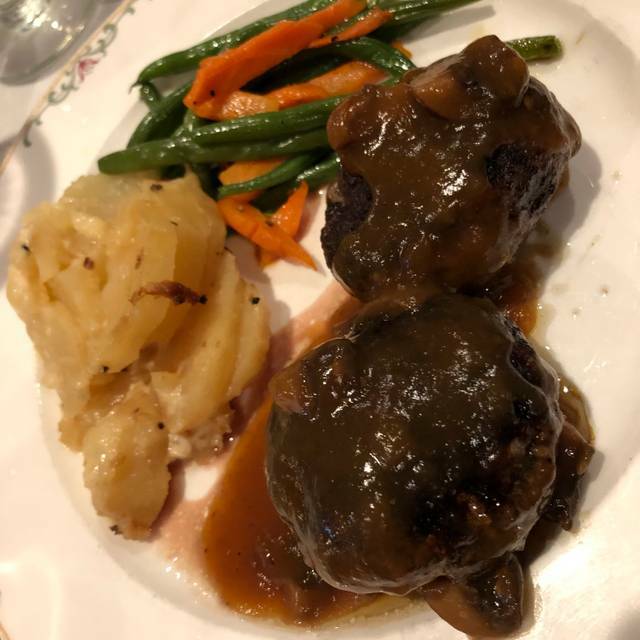 The closest restaurant to the Capitol building,United States Senate and Union Station, The Monocle is not only known as a Washington institution, but also for its fine American cuisine. You can always count on being served great crab-cakes, grilled fresh fish, steaks and chops, while enjoying the powerful political scenery. The private room upstairs is a Washington classic for private parties and political fundraisers. More than 6 please call 202-546-4488 since NOT accepted by open table reservations. 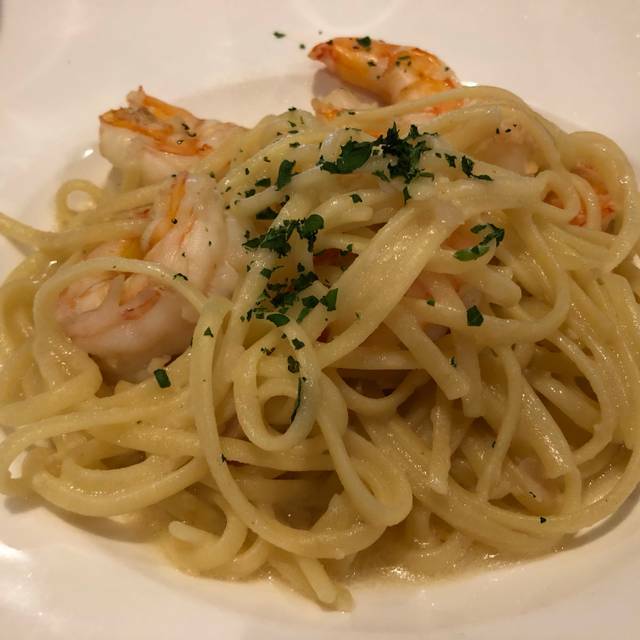 This is always on our list in Washington, DC. We visit annually and enjoy everything about it! Great ambiance, great service, food is always consistent and good. Quite often you will see Congressmen and women eating there. Don’t miss it! Service is unrivaled. You feel like you are a regular, even though I’m not. the food well prepared and the service discreet and helpful. The manager for 45 years is a HOOT!! Also a wonderful raconteur. Lunch was a great way to enjoy the menu items and dine among obviously political conversations by movers in and around Capitol Hill. Service was excellent. Highly recommend reservations. Excellent service, as always. We had a reservation for 5, but brought an extra. They took it in stride. My Greek salad was superb. Everyone enjoyed the food, service and good cheer. Love the location and the ambience at this Capitol Hill hidden gem. Service was excellent. I may have ordered the wrong thing (salmon BLT) as it was a tiny piece of salmon that was lost in the bread with nothing else on it. Latte machine was broken but we settled for coffee instead. Classic steak house in the shadows of Capitol Hill. Every aspect of the meal and service was on point. Great experience. Food was unbelievably delicious! Wonderful. Best food and most professional wait staff. You can’t get better than this. Great food. Terrific cocktails. Outstanding service. Highly recommend. We loved the old school feel. But the food was great!!! Had a lovely ladies lunch at the Monocle. Great friendly service and fabulous salads. We had grilled chicken paradise salad, steak salad and chicken Caesar. All were super fresh and tasty. Was just a perfect lunch enjoyed by all! Will put the monocle on my regular rotation! Thanks! The food was really good, I was greeted by name. The service was very good and timing was great. All of the servers came by and checked on me. 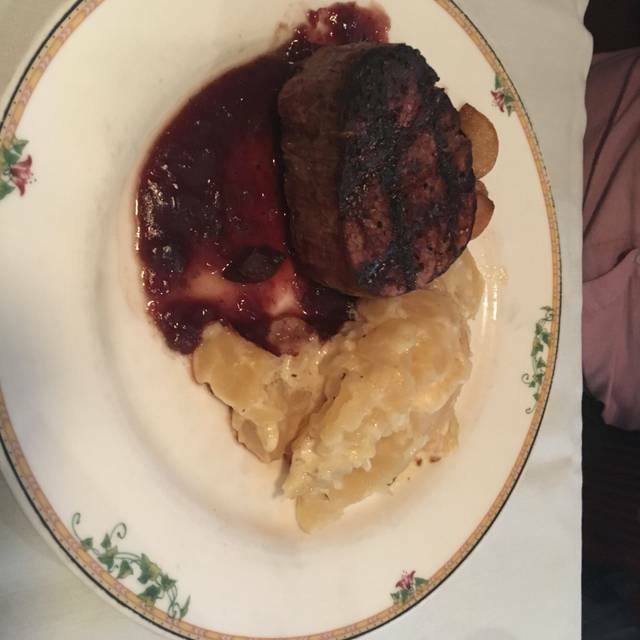 The Filet Mignon was cooked to my order and complimented the potatoes. The BlackBerry Crumble was an amazing resolution to the dinner. The history and culture of the place is evident and suggest The Monocle to anybody! We had a very nice meeting with family before boarding the train home. The service was so personnel. May not be the greatest foodie place, but the potatoes can't be beat. Old time charm and clearly a favorite of many government folks. Family run - John, who took over from his father who founded the place, is very present in the operations. Meets and greets all guests at the front door and seems to know everyone. It seemed every waiter and the host had all been there for over 20 years each. Yet, not jaded - eager to serve and please the customer - regular or new. So much history, yet updated and fresh menu choices. Great ambiance. Right by the train station, so very convenient if heading out of town via train. I think this will become a regular lunch stop for me before I take the train to NYC, which seems to be my usual travel route these days. Outstanding service, and had one of the most delicious steaks I've ever eaten! The Monocle is an old school sophisticated steak & seafood restaurant that opened in 1960 and is housed in a building built in 1885. You can see from all the portraits on the walls that it's popular with the movers and shakers. The interior decor is elegant simplicity, just the way my friend and I like things. The service was outstanding. 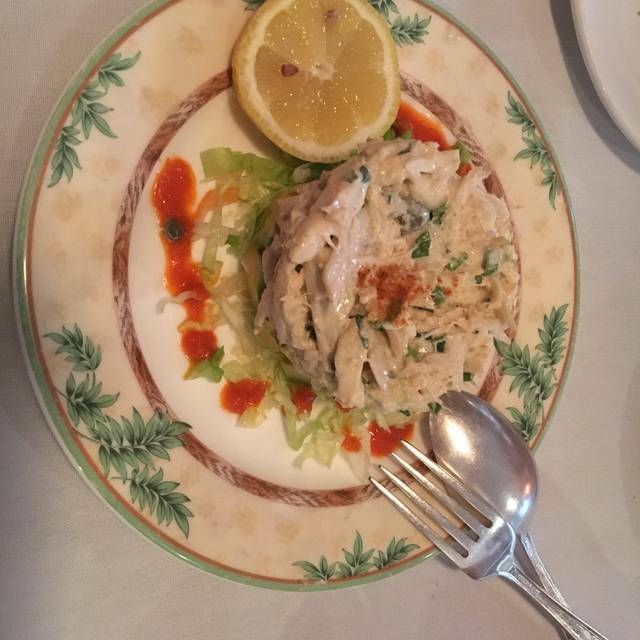 We began with the Jumbo Crab Meat Imperial appetizer. My friend, as is her wont, had a crab cake for her entree. It was served with veggies in a unique sauce. I had a delicious steak in June, but since it's Lent, I went with a pan-roasted bronzino filet served in shrimp sauce. It was served with potatoes au gratin. We also shared a side of tempura onion rings. We completed our repast with a generous slice of cheesecake, served with rum-roasted pineapple. It was the perfect dining experience. Went there after visiting the Capitol. Great service, friendly and efficient. Delicious food. Great place if you have meetings at the US Senate. Can’t beat the location. The Monocle is always solid, reliable, friendly, the best. Friday night. Meal was outstanding. Service always warm and kind. Delightful. Always good food in a good atmosphere, and so convenient to meetings on the Hill. Best place on the Hill to eat, greet, and be. 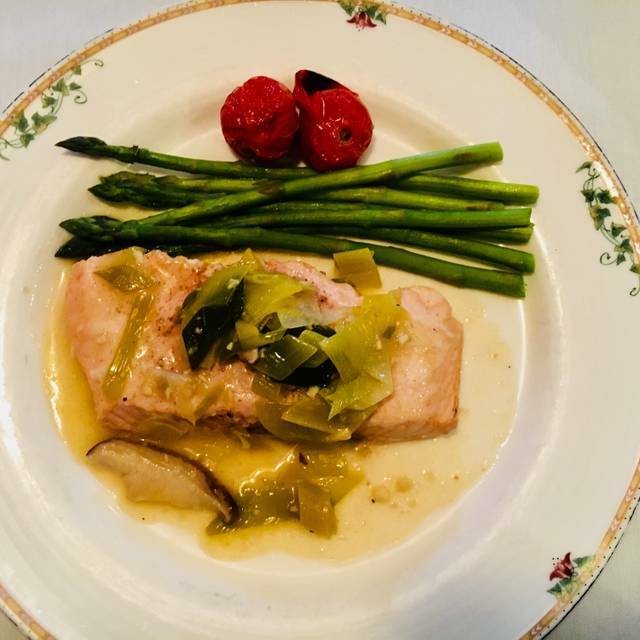 The food is great, service better, atmosphere pure Washington. This classic Washington, D.C. institution should be on everyone's bucket list! Friendly, refined service with well-prepared food, plus the opportunity to browse the impressive collection of photographs is sure to please the political junkie in all of us. Stop by for a piece of D.C. with a side of warm rosemary bread! Enjoyed a quiet, classic dining experience. Very attentive, knowledgeable waiter. Menu was not huge but found this refreshing. Tired of hipster menus. We shared the special salad of the evening: heirloom tomatoes and burratta. Excellent! One had steak. One had chicken. One had lamb. All were very happy with their entrees. Sadly no room for dessert. Love the setting. Sits like an oasis amongst the sprawling granite government buildings & Union Station. Like stepping back in time. Excellent food and service. A wonderful restaurant for a special occasion! Try the crab cakes! Great food, wonderful atmosphere, and very attentive wait staff! This place is a classic. The Monocle has been my go-to restaurant near the Hill for years but I have never written a review. Amazing. I was there with old friends last week and had a chance to look around at the completed renovation, meet some new staff and study the new menu and wine list. If you are a DC-based person and have never been to the Monocle it is a must to go, if you are from out of town, you must go. Without question, the Monocle is THE best of the DC iconic restaurants ....and you may end up sitting next to a Senator or two! Excellent, consistent service at this restaurant. Very nice and helpful staff. Food is typically very good, although the crab cake sandwich seemed better without the bun. Recommended restaurant. Good for a business meeting luncheon. Great location. A great Washington establishment eatery. Well worth it if you want to soak up the Capitol Hill vibe. Great spot - good food and service couldn't be better. Food was delicious. Staff was very attentive. Classic! Wonderful tomato basil soup. Tenderloin salad is very good. Service is alway superb. Old fashioned but still consistently a really good restaurant. Always a fun place! Great service, happy to see the next generation of owners taking over! 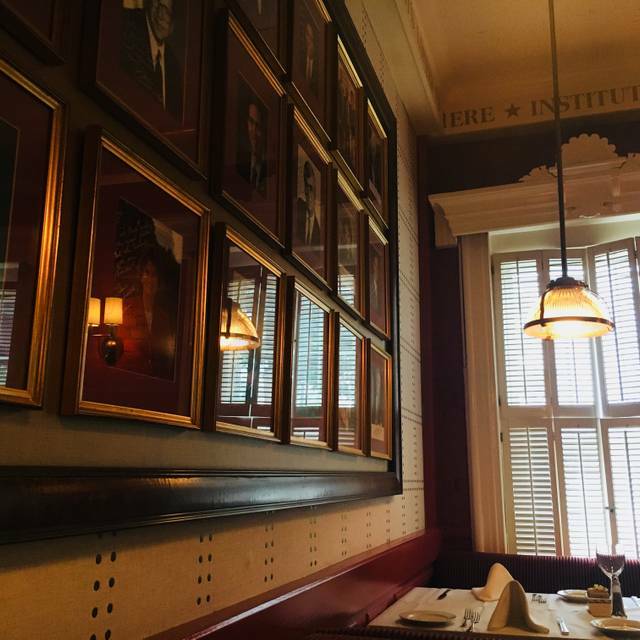 Great food and outstanding service in a classic DC setting.